Sluggish behaviour of Mac is one of the hot topic discussed by Mac users through different discussion channels. Mac users always want to speed up their Mac by any means so that, they could do their work fast. There are two ways to speed up their Mac either by overclocking and optimize Mac OS X. It is the process of increasing the work capacity of system components by changing system hardware settings. Processors (CPU), video cards, RAM and motherboard chipsets are the system components. It includes setting processors at higher clock rate than which is given by the manufacturer. In this case, processor starts using more power and working on higher frequency. It is a very popular practise among gamers and modders. 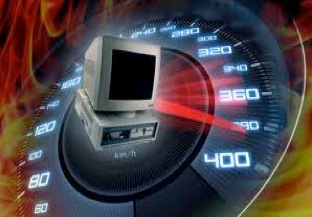 To increase the speed of system you need to overclock, for some game programs, we need fast processing speed. Benefit of overclocking is that you can purchase a lower performance, cheaper component and overclock it to attain the performance of a more expensive one. Overclocking is a dangerious process which will make your computer “explode”. Frequency of a hardware components increases during speed up process. If you manage it in improper manner then it may be the cause of permanent physical death of your Mac. Overclocking can create unpredictable errors, which may lead to system instability and data loss situation. Optimizing Mac is better than overclocking because there are no chance of data loss and overheating in this process. In optimizing process, you can increase speed of your Mac by cleaning all unwanted data from it. You can defrag your Mac to increase it’s performance. Stellar Drive Tool Box is one of the best tool to [tp lang=”en” only=”y”]optimize Mac OS X[/tp][tp not_in=”en”]optimize Mac OS X[/tp], there are 12 utilities wrapped together in this tool. Every utility has different functions like defrag, partition, wipe, speed up etc. you can do these tasks to make your Mac life more happening. Guest article written by: Jyoti Kumari is a Mac user and believes in making life better with latest and useful technology in Mac. Apart from the disadvantages , I still think overclocking would be a good option . I’m not sure why any one would want to take the risk of over clocking their computer. Back in the early 90s when computers where damn slow it was OK. But now, really? I’m more in favor of adding more ram and, like you mention, optimizing it. Most of the time, it’s little things that clogs the hardware.